General Sean Mac Mahon was born,the son of a malster in Cork street, in Dublin in 1893. He was the eldest of seven children. He joined the Irish Volunteers at the very start in 1913 and was enrolled as a member of B Company, 3.rd Battalion, Dublin City Brigade. In 1914 he became 1.st Lieutenant under the O’Rahilly with promotion to captain in 1915. The headquarters of B company,3.rd Battalion was based at 144 Pearse street. 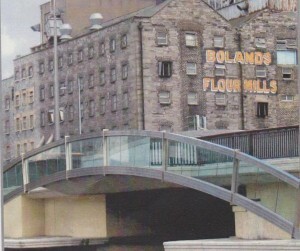 During Easter week 1916 he fought at as Captain of B company, 3.rd Battalion,under Eamon de Valera in Bolands Mills. In May 1916 he was deported and imprisoned first in Wakefield then Frongoch and finally Wormwood Scrubbs. On his return to Dublin he joined the staff of the nationality newspaper. He resumed his association with the Volunteers becoming Vice Commandant of the 3.rd Battalion. In 1919 he became Q.M.G. of the Irish Republican army. He was the Organiser of the famous Q company based at Dublin Docks,which was finally organised into a unit in March ,1921. He took part in several engagements during the Black and tan war and was present during the night of the 13.th /14.th March 1921 when his brother in law,Leo Fitzjerald was killed in an ambush in Great Brunswick street. He took part in the Custom house attack in May 25, 1921. On the formation of the regular Irish national Army in February 1922 he continued as Q.M.G. In September 1922 he succeeded General Mulcahy as Chief of Staff. He retired in 1927,due to failing health and died in 1955. There is a bridge in Dublin named after him today.